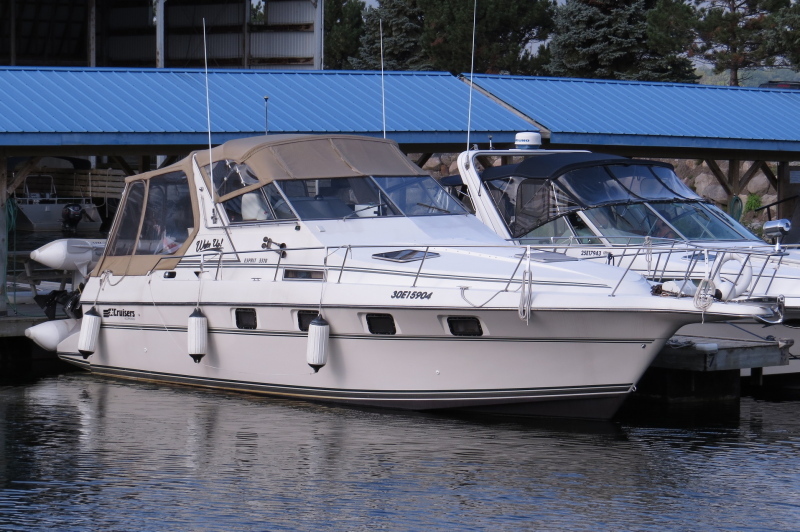 Cruisers 3370 Esprit features a spacious, wide-open interior on a modified V-hull with draft-reducing prop pockets. The curtained-off mid cabin sleeping area is actually part of the salon, greatly increasing daytime functionality and usable cabin space. A well thought-out galley with good storage and counter space makes food preparation a breeze, and with seven opening portlights and three hatches, there is plenty of natural ventilation in addition to the cabin heating and air-conditioning system. This turn-key 3370 has been meticulously maintained and shows extremely well. With updated canvas and like-new cockpit upholstery, it’s a “must see” for anyone after an affordable, express-style boat with a full suite of cruising amenities. Survey available upon request.